Despite speculation to the contrary, lithium resource constraints are unlikely to short circuit accelerating electric vehicle (EV) sales. ARK believes global lithium reserves will continue to grow even as lithium production rises to meet EV demand. Lithium mining companies with low-cost resources stand to benefit as new higher cost supply comes on line. 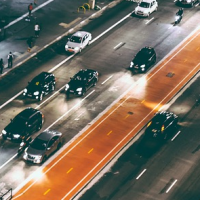 During the next six years, as the global demand for electric vehicles increases roughly 50 fold, we think lithium and lithium-related companies could prove to be productive investments. The shortage thesis typically includes an assumption that lithium reserves will stagnate at current levels while production rises to meet the demand for EVs. 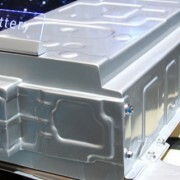 Even at today’s lithium reserve levels, however, EV manufacturers could produce 45 million units annually for 78 years. 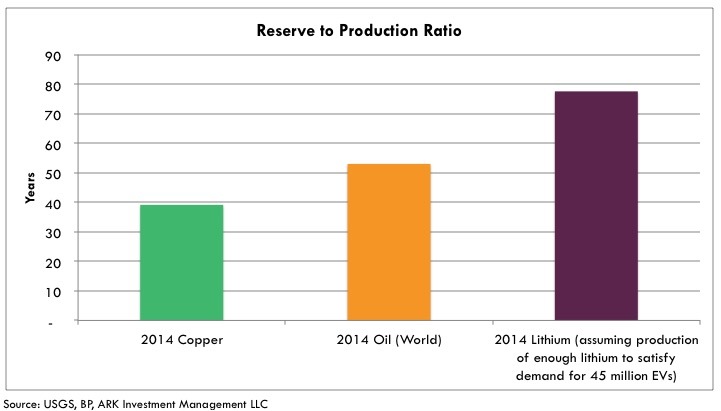 That reserve-to-production ratio is higher than that in either copper or oil. In fact, according to BP BP, oil reserves never have topped 55 years of oil production. Lithium is unlikely to drop to 55 years even under the massive acceleration in EV uptake that ARK anticipates. We think the notion that commodity reserves are static is misleading. In 1970, according to the U.S. Geological Survey for example, copper reserves were 280 million tonnes. Since then, global copper production has totaled over 500 million tonnes. 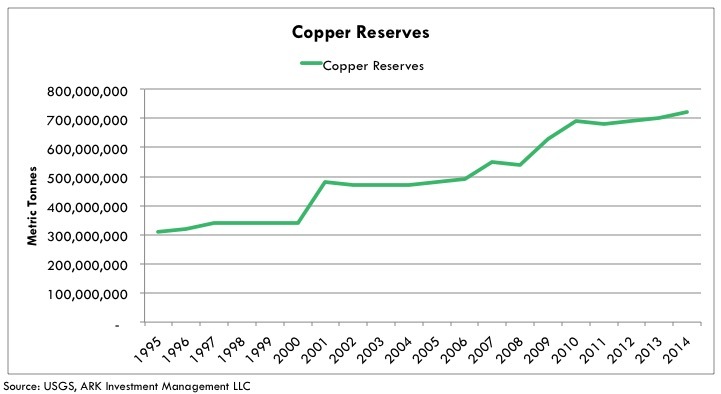 Moreover, the current estimate of copper reserves today is 720 million tonnes. Clearly, the outsized demand for copper, especially from China, incentivized mining companies to discover more of it. Technological advances allowed the miners to access and mine copper that previously was uneconomic. 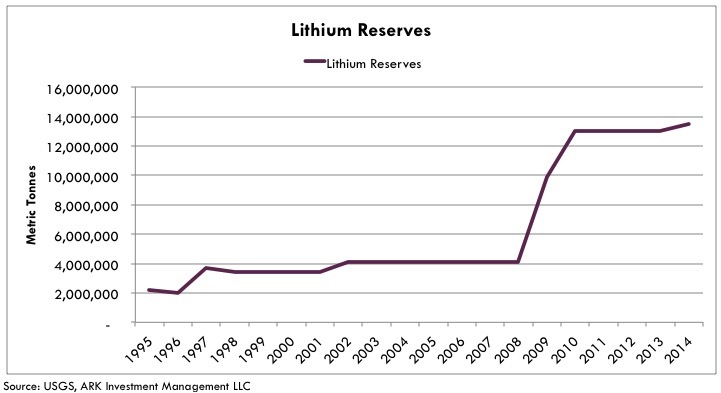 In other words as shown below, reserves both in copper and lithium tend to expand rather than contract over time. Not all lithium reserves are high enough in quality or low enough in cost to produce EV batteries. As shown below, the different methods of extracting lithium range in their economic efficiency. The cost of extracting lithium from hard rock spudomene is more than twice that from existing brine. Given the nearly exponential ramp in EV demand that ARK anticipates during the next five to ten years, lithium prices probably will have to rise significantly to meet the cost of extracting it at the margin. Then, in our opinion, large mining companies like FMC FMC, Sociedad Quimica y Minera de Chile SQM, Albermarle ALB, and Orocobre ORE will be incentivized to prove out additional reserves and increase annual production. 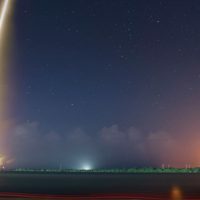 In order to reach the lithium production capacity to keep up with the EV adoption ARK expects, the industry must commit to massive investment in new lithium projects. In 2014, the 32,000 metric tonnes of lithium would have accommodated only eight million EVs assuming EVs have a 50kWh battery. On February 2nd 2016, Albemarle announced plans for a $600 million investment to more than double its production capacity in Chile to 70,000 metric tonnes per year. Given the lower capital costs of expanding lithium production compared to building greenfield, lithium mining companies with access to large reserves stand to benefit disproportionately in our opinion. That said, mining is a low-margin, complicated, and capital intensive business where the duration of projects leave companies vulnerable to even transient supply-demand mismatches. 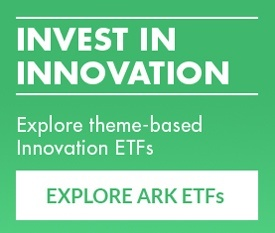 And as with all commodity extraction value-chains, the industry as a whole is particularly vulnerable during periods of rapid supply expansion, which often, ARK believes, is accompanied by executive hubris and poor capital-deployment decisions. 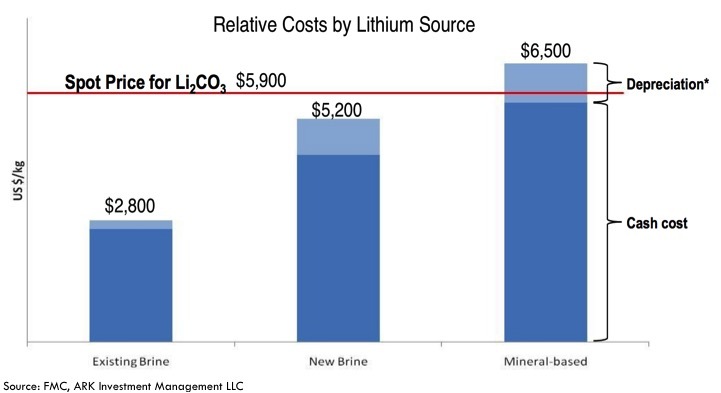 Cost to extract lithium per unit weight.